This was an oak tv cabinet that a client asked me to distress to create a new look. It turned out beautiful! I added new knobs to the drawers to dress it up. 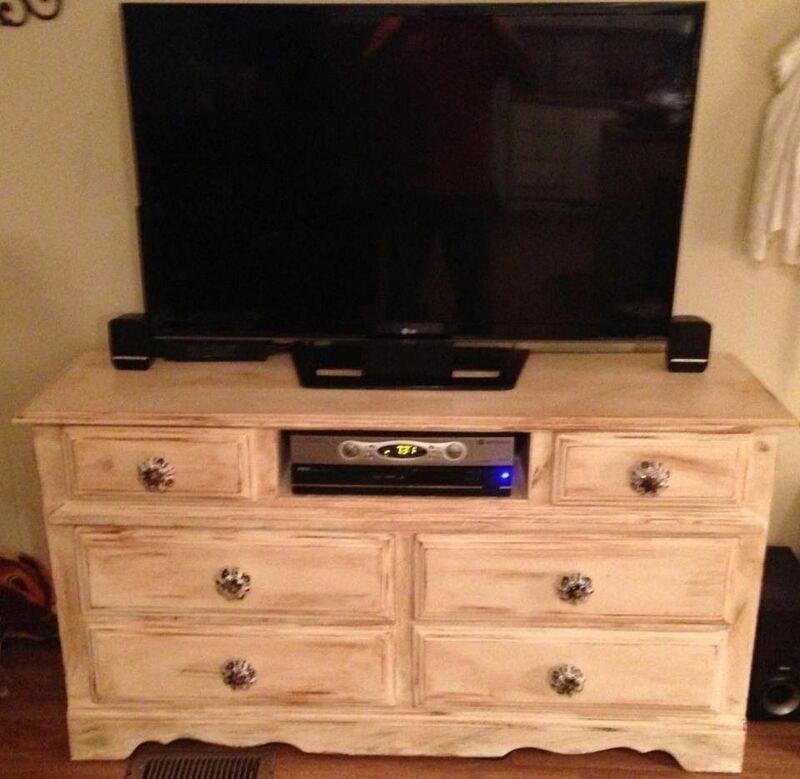 I can turn any old piece of furniture into something new!